Are you looking for free accounting software? Wave Accounting is a free, secure, online accounting alternative to Xero, MYOB and Quickbooks. If you are just starting out in your business or plan to remain small Wave Accounting could be a great fit. It is brilliant for those that are self-employed, freelancers, consultants and small businesses with no employees. Merchant Maverick has carried out balanced and impartial review of a number of accounting software packages, including a review of the Wave Accounting package. It is worth a read. Need more than Wave Accounting has to offer? Wave is great for very small businesses. However, if your business is growing or has plans of expanding, you could quickly outgrow Wave. Instead, a paid option such as Xero may be a better option. Talk to us about subsidised Xero subscriptions for startups. If you have staff or are registered for GST Wave is probably not suitable for you. This is because Wave does not have Australian payroll or GST functionality. If you need advice about how Wave might work for your business give us a call. 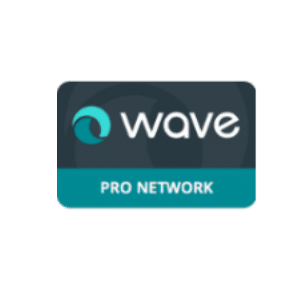 We are a member of the Wave Pro Network and have used the system extensively since 2015.